It is a mixed yet quality bag of racing this weekend including three different Park Runs, some cross country and an overnight mountain marathon! 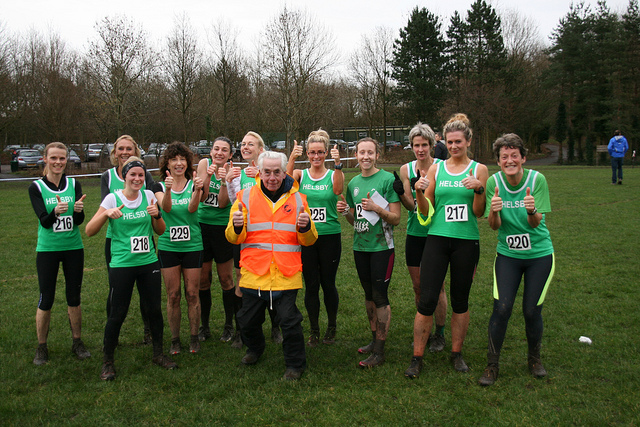 Saturday was the 47th Delamere Park Run and always the most popular of the local races. A top ten finish for Chris Baynham-Hughes saw him first home for Helsby followed by Jim Jones and Tim Palmer with a new PB. Louise McEveley was first lady home and well done also to Louise Spruce with a new PB. Saturday morning also saw the inaugural Warringon Park Run with a guest appearance from Helsby’s very own Roy Gaskill. And there were also two Helsby out in the first of their two runs of the day at the 150th Princess Park Run. Colin and Tom deciding on a faster warm-up than most headed to this venue with Colin even securing a new PB for the course as well as a sub 18 minute effort. 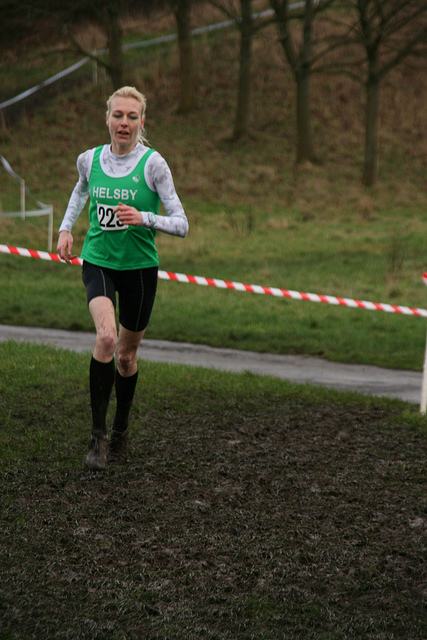 “The XC on sat was gruelling! You may have had other reports. The mud was worse than the Cheshire’s if you can believe that! Rachel & I turned up early with Patrick who was running in the juniors so he could watch the u15’s finish. Vale Royal did very well but at a cost of honking up for some! Helsby positions and places as below. “I’ll be writing this up later as it was an experience and a half, but it’ll have to wait a little as I’m horrendously sleep deprived having spent the weekend out on the Marmot Dark Mountains race. This is an overnight mountain marathon which was in the peak district this year. I can’t really think of a more extreme event that I have taken part in. For those out there that don’t know what a mountain marathon is, I will attempt to explain: essentially it is akin to orienteering over a huge distance, it has an overnight and self-sufficient element to it with competitors carrying tent, sleeping bag, cooker and various items for safety in case things go wrong – in our case a bothy bag had been added to the kit list (despite us having a tent too!). My running partner (Braddan) and I were out for 15.5 hours and for a good 8 of those I couldn’t feel my feet. It had started well with us nailing the navigation for the first 4 check points despite there being some pretty tricky nav requirements. Anybody who has been up Kinder Scout in the daylight will know how treacherous it can be with all the groughs, but at night with only head torches to guide it becomes extremely difficult without mist, but with mist it is almost impossible…we had mist reflecting the beams from our head torches and it slowed us right down. We had every type of weather apart from sun and I ended up on Bleaklow in a full on blizzard running compass bearings in white out conditions. We experienced everything from freezing cold to rain, sleet, snow, mist, and wind ranging up to 70+++ Easily one of the toughest events I’ve ever done… It was utterly bonkers. All self-inflicted of course. As always please let me know what events (not just running either) you have been upto as I will always try to put them on the blog and I can miss events if you haven’t let me know. Thanks all for racing, running, jogging, supporting, organising and generally sharing the day with us. See you in 2015! Happy New year all! Only 2 weeks to go to the Big Day…………. To ensure its continual success, Jackie and I would really appreciate club members support in the build up and during the race weekend – we wouldn’t be able to achieve things without it! Could you therefore review the dates below and email me (garethboyd@financialrecruitment.biz) back asap confirming when you are available to support us. Thanks in advance . (Apologies to those who have recently confirmed availability to help out). 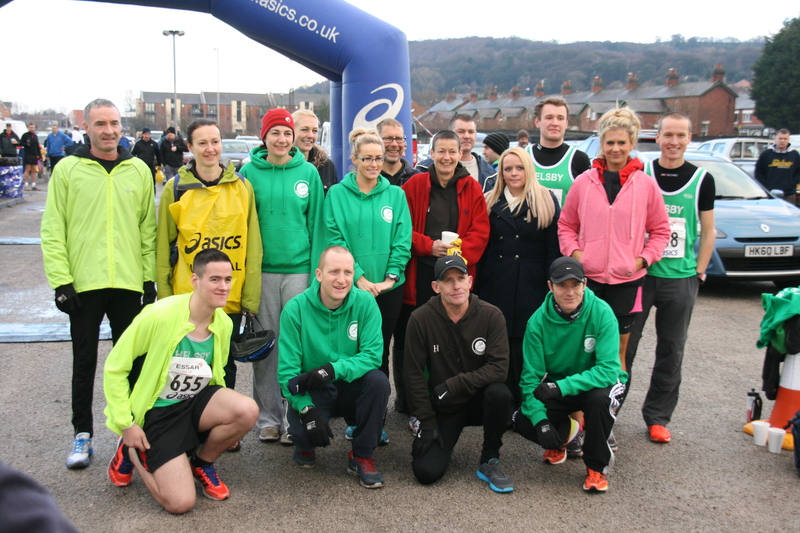 Please note that the Running Club certainly expects support on sat 18th Jan from Helsby RC members participating in the race . 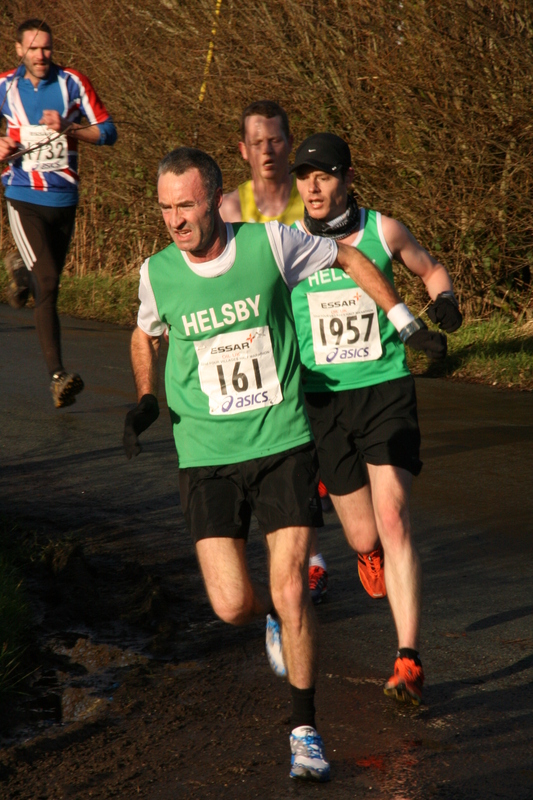 An important and celebratory weekend for Helsby running club this weekend, an absolute honour to send out the results this week! 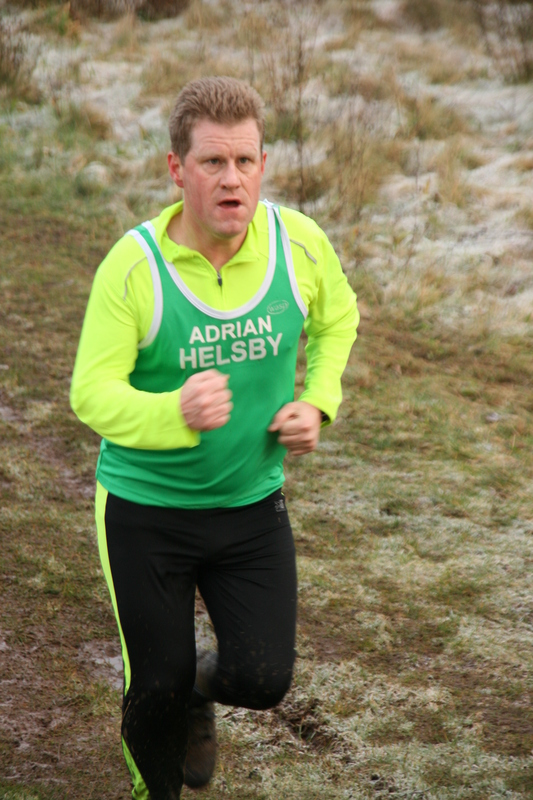 Delamere Park run number 44 was on Saturday 4th January with 7 runners out for Helsby and first home for Helsby with a great run was Dave Feakes in 14th position. Well done also to Laura Baynham-Hughes who was first lady home and congratulations to Claire Morton for her course PB. A nice warm-up for Jane too before the afternoons Championship race. 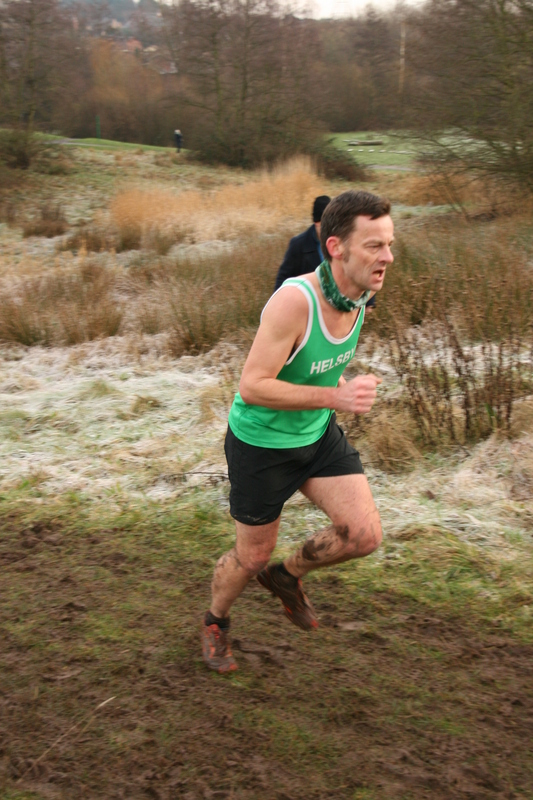 Saturday afternoon saw the Cheshire Championship Cross Country at Birchwood Park. This was a showcase of Cheshire’s Cross Country talent and a fantastic race for the spectator due to the ease of access to visit numerous places on the course during the races. Joe and Mario had ringside seats as they were marshalling on the corner of the first incline and were able to offer great support for all our runners. Also out on the course in support were Carol Shaw, Louise and Jane. It was a great day for the club with five Helsby members taking home medals, 4 of those from Helsby ladies who fielded a very strong team. Helsby men were 10th team on the day. Special congratulations go to Colin Bishop who was not only the first man home for Helsby but also secured a Cheshire Championship silver medal for his age category. Helsby ladies were 4th team overall and were 3rd vets team, brilliant stuff. It was also a fascinating and exciting race to watch as Jayne was in a great battle at the front of the race but her strength paid off by going into the lead on the penultimate lap to continue pushing hard to have a significant lead in the end. It also shows we now have good strength in depth with a medal winning vets team consisting of Jane, Alison and Vanessa. Be sure to congratulate all our Helsby medal winners when you see them! I’ve also received an update from Ian Landucci that he has now put the updated club counter tables on our blog for cross country and the Border league.